The most revered member of the Green Lantern Corps, test pilot Hal Jordan became Earth's first - and possibly greatest - Green Lantern! 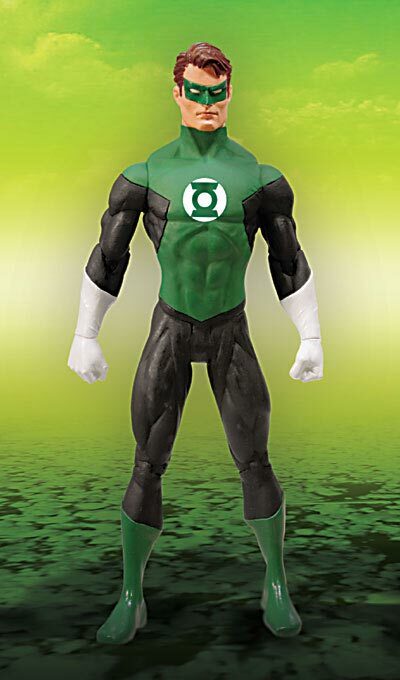 DC Direct celebrates his return to greatness with this new action figure that features his redesigned costume and look debuting in the red-hot miniseries GREEN LANTERN: REBIRTH by Geoff Johns and Ethan Van Sciver! The Hal Jordan Action Figure features multiple points of articulation and includes a display base. Packaged in a blister card measuring 11.5" H x 4.125" W x 2.75" D.
The villainous Black Hand, one of Hal Jordan's deadliest foes, is being reimagined in this new series to reflect the evolution of his dark energy stealing powers! His Power Rod is gone, but he's still able to steal the energy of the Green Lantern-but at what cost to himself? 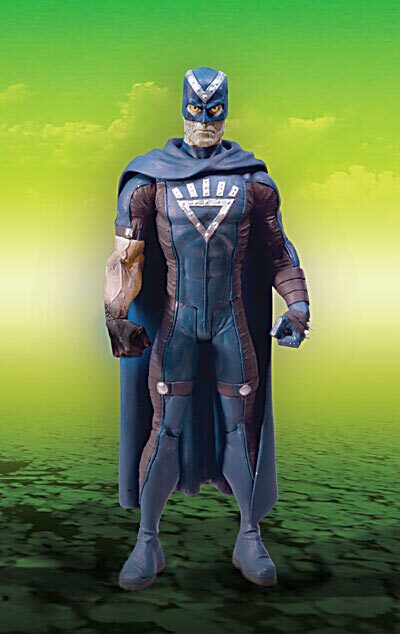 The BLACK HAND ACTION FIGURE features multiple points of articulation and includes a display base. Packaged in a blister. The alien Kilowog was recruited into the Green Lantern Corps as a protector of the planet Bolovax Vik, and was killed by his former friend and ally Hal Jordan. Recently ressurected, Kilowog will play a key role in the re-formation of the Green Lantern Corps. 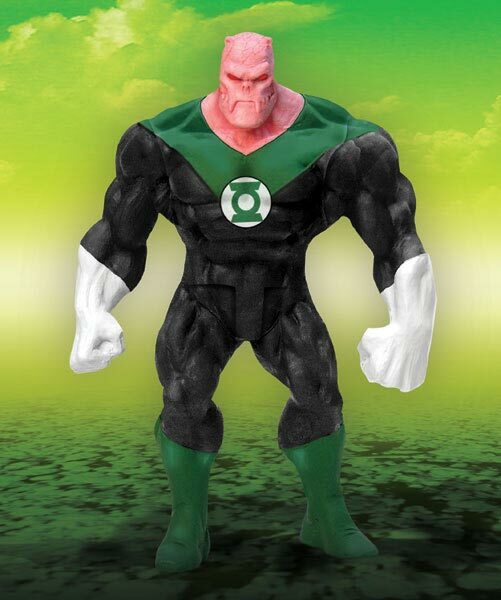 The KILOWOG ACTION FIGURE features multiple points of articulation and includes a display base. Packaged in a blister. Ganthet was for a time the last surviving Guardian of the Universe, the ancient species responsible for creating the Green Lantern Corps. With the return of Hal Jordan, the Guardians will reach even greater heights with their awesome powers! This set includes two figures with different head sculpts. These figures feature multiple points of articulation and include a display base. Packaged in a blister. Following his descent into madness and the destruction of his beloved Coast City, Hal Jordan became the maniacal villain Parallax! The PARALLAX features multiple points of articulation and includes a display base. Packaged in a blister. 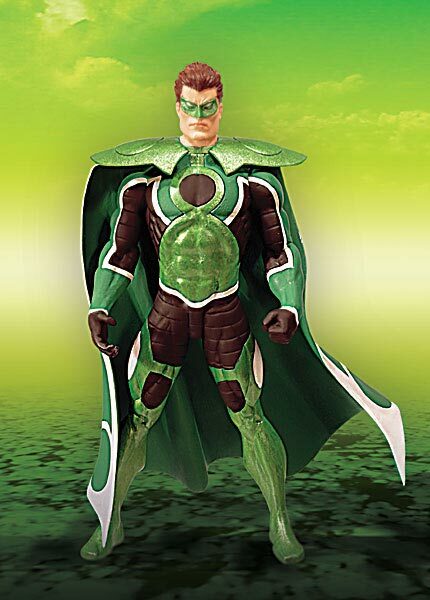 Please note Green Lantern: Series 1: HAL JORDAN, PARALLAX, BLACK HAND, KILOWOG ACTION FIGURES are intended for individual sale to consumers, but are sold to retailers in inner and master case assortments. 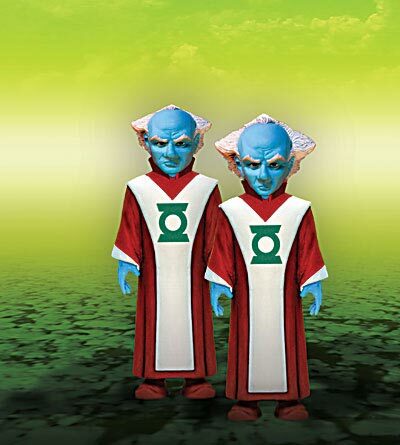 The Ganthet & Guardian Action Figure Set is only available to retailers in inner and master case assortments. All images, format, content, and design are copyright © 1994-2013 Raving Toy Maniac. No part of these pages may be reproduced without express written consent of the Raving Toy Maniac. Licensed character names and images are copyright © their respective companies.